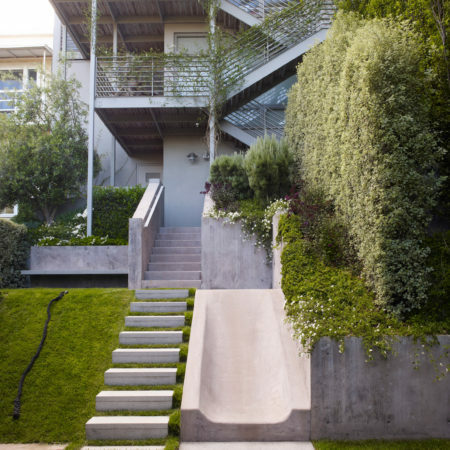 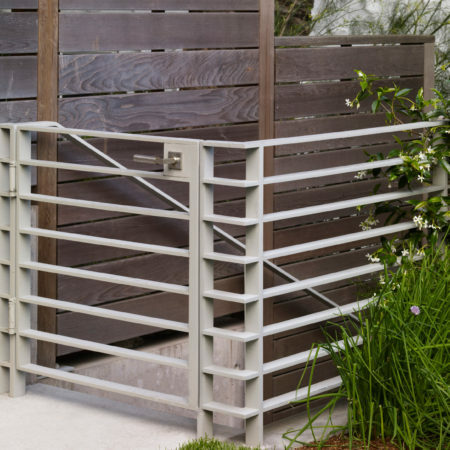 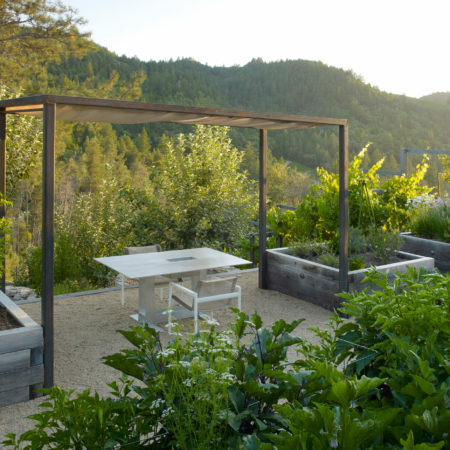 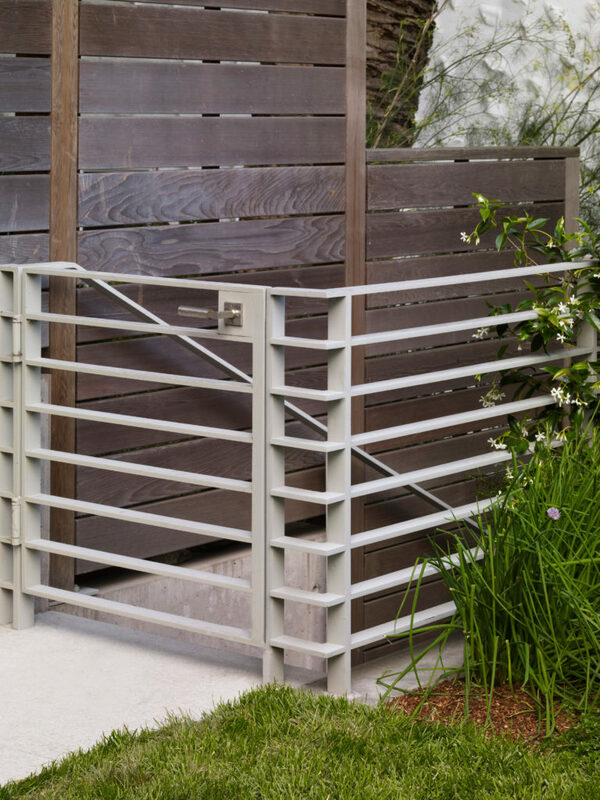 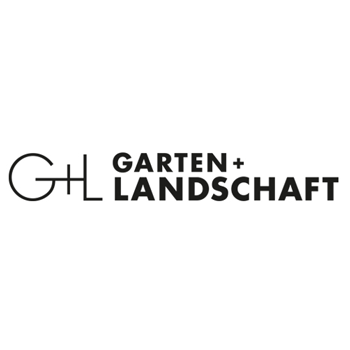 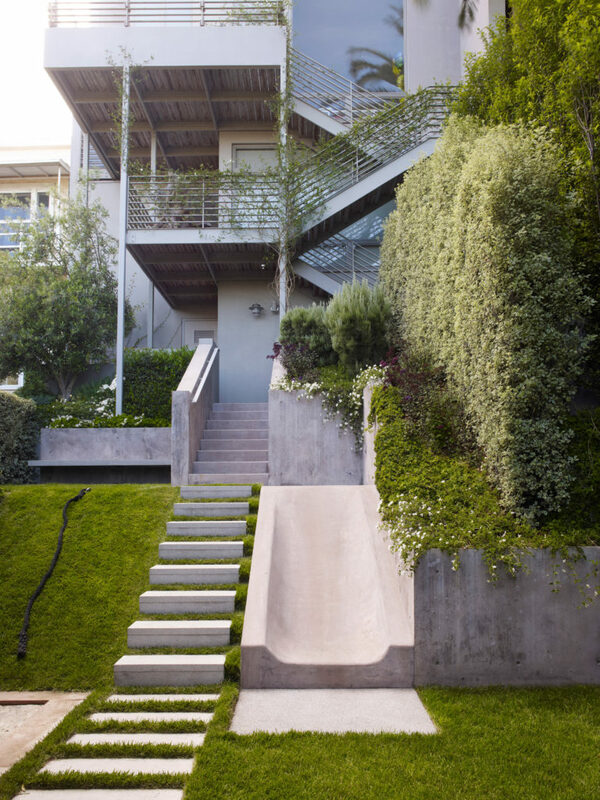 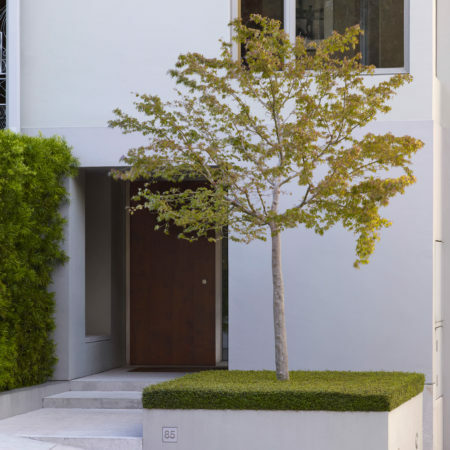 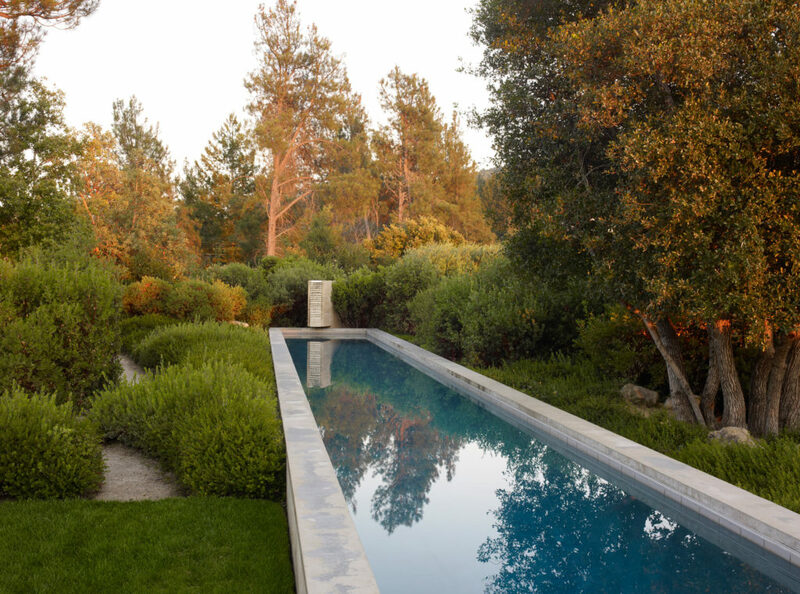 Blasen Landscape Architecture was established in 1993 and is located in San Anselmo, California. 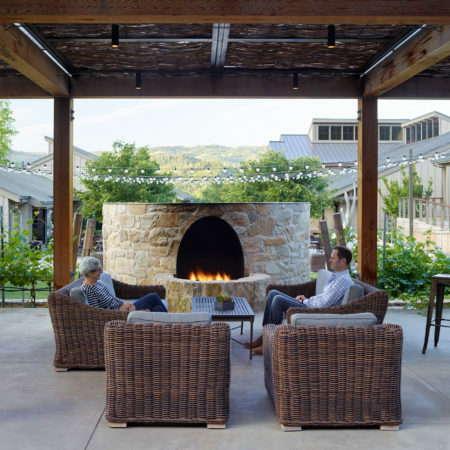 The design studio has been involved in a diverse mix of projects including residential works, spaces for worship, schools, corporate offices, and wineries. 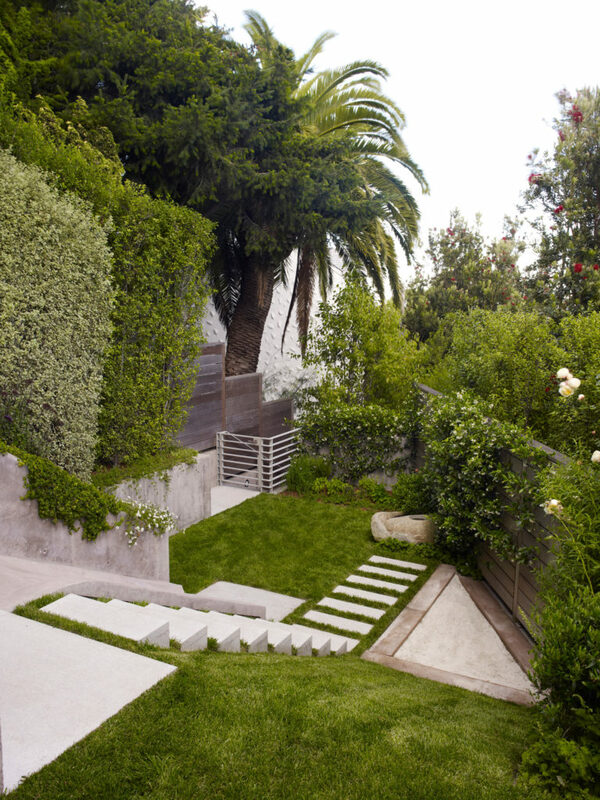 A major component of the firm’s focus has been designing large scale residential gardens. 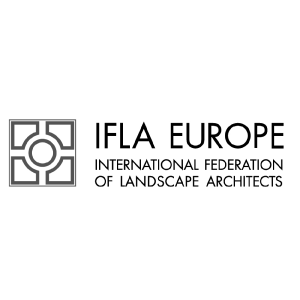 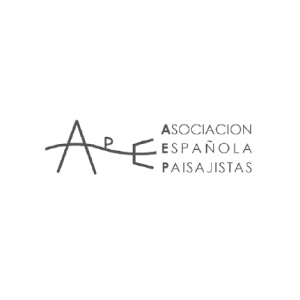 Our approach to every project is to engage with all parties in a creative collaboration to define and understand the scope of the specific project. 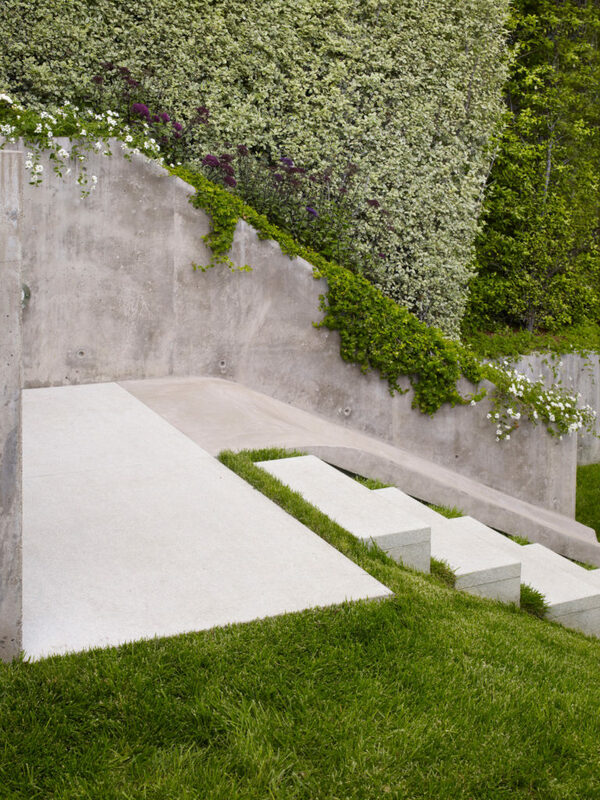 With an unyielding passion for design and its relationship to natural and man-made forms, the husband-and-wife team of Eric and Silvina Blasen practice a progressive form of landscape architecture, embracing utility while exploring contemporary relevance and innovation in outdoor planning. 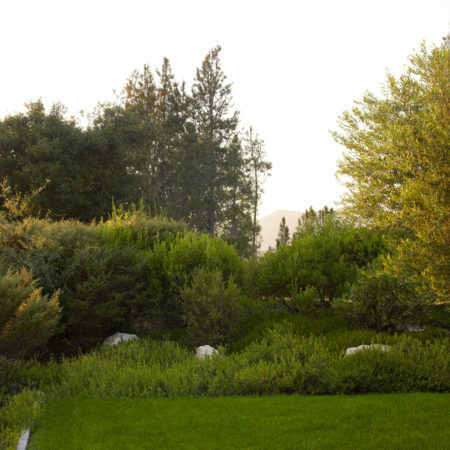 Our talented team of landscape architects bring additional creative passion to all of our projects. 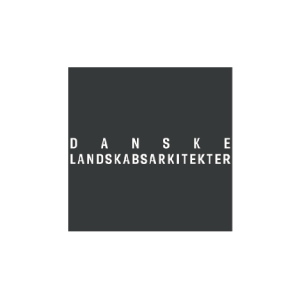 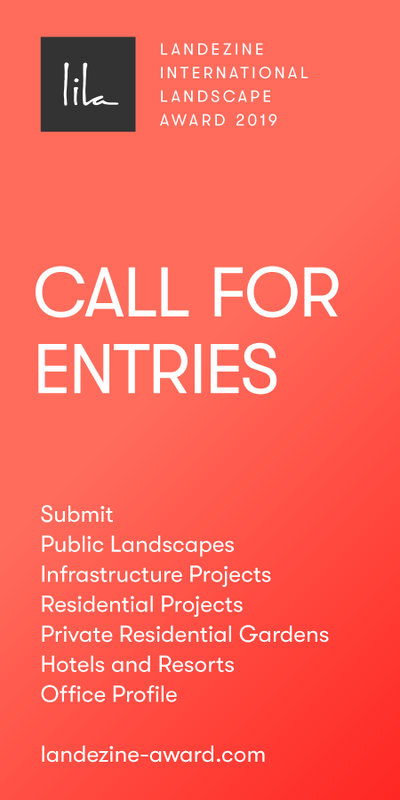 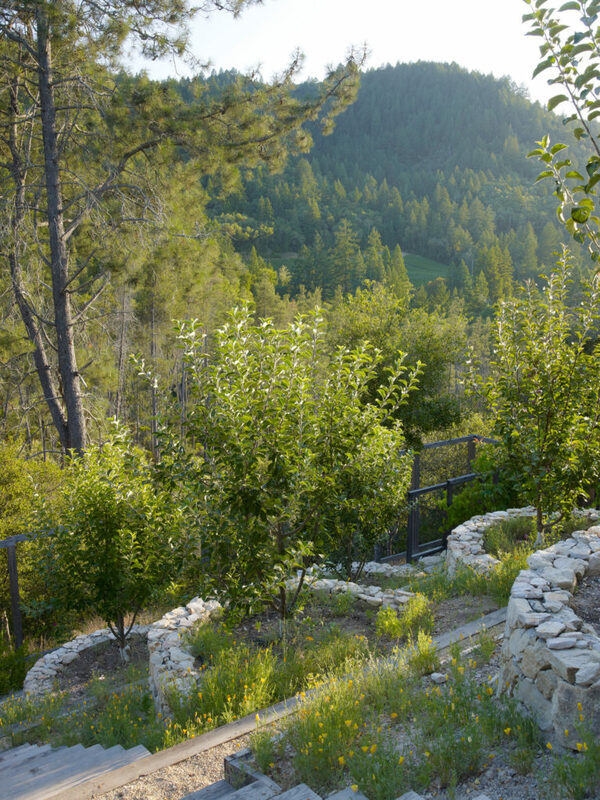 To the Blasens, each project is a unique opportunity to identify new design solutions that create a sense of time and place, enhance a site’s value, and are in harmony with the environment. 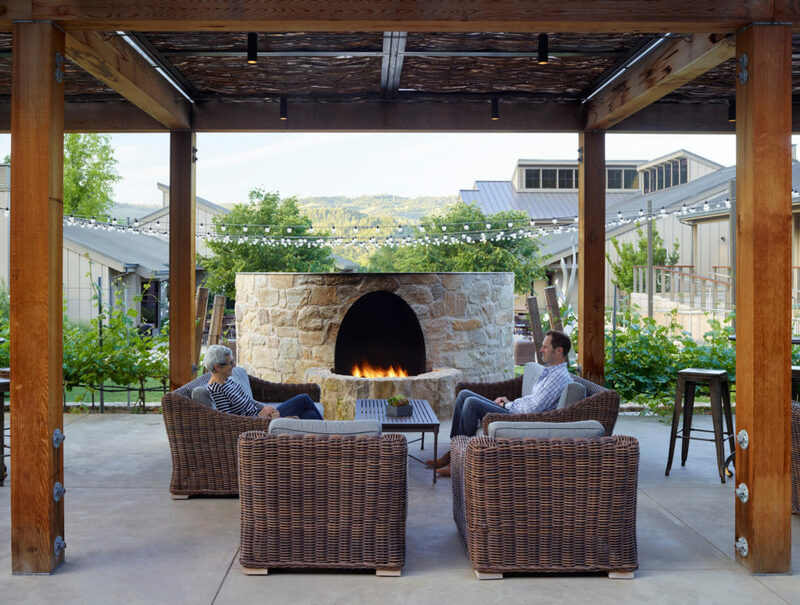 We design spaces for people to experience—places where scale, texture and lines effortlessly communicate comfort and beauty. 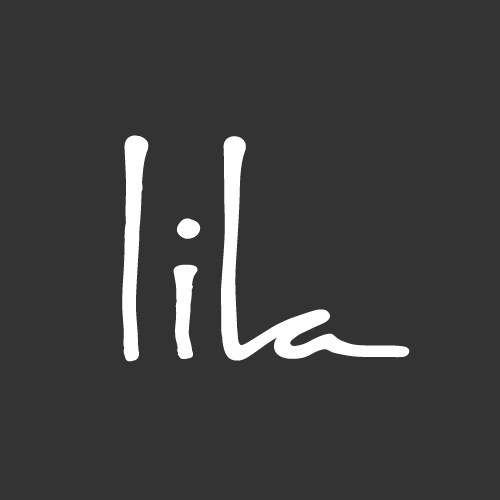 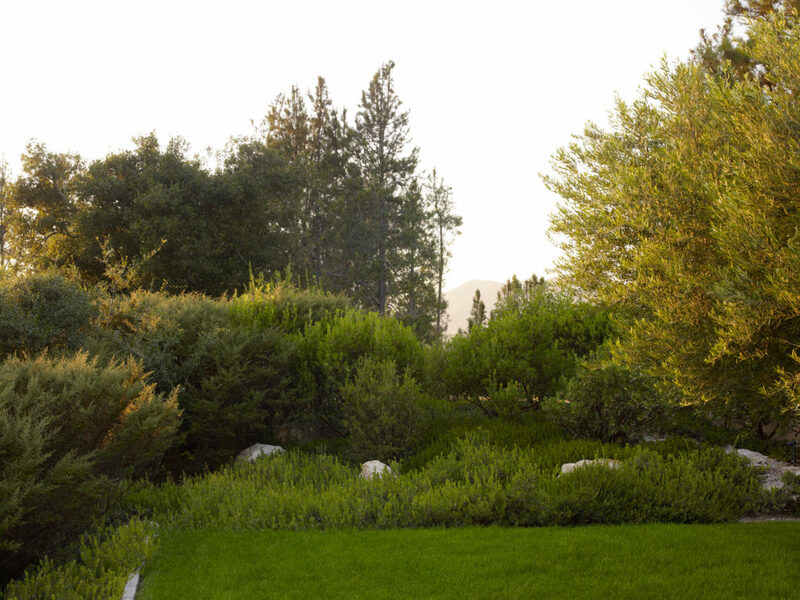 We embrace the principles of sustainable design in all of our projects. 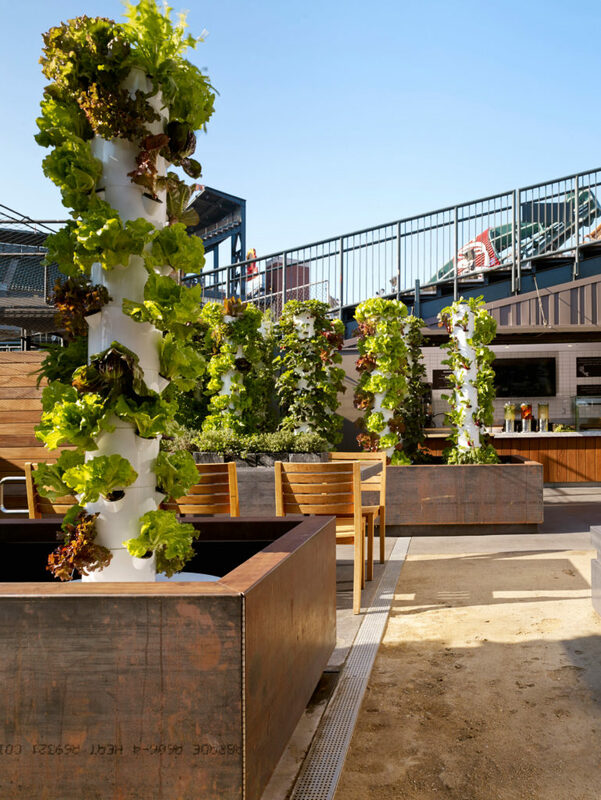 We believe that a proactive approach to this type of design is not only the right thing to do but also creates an educational awareness that can broaden the culture of sustainability. 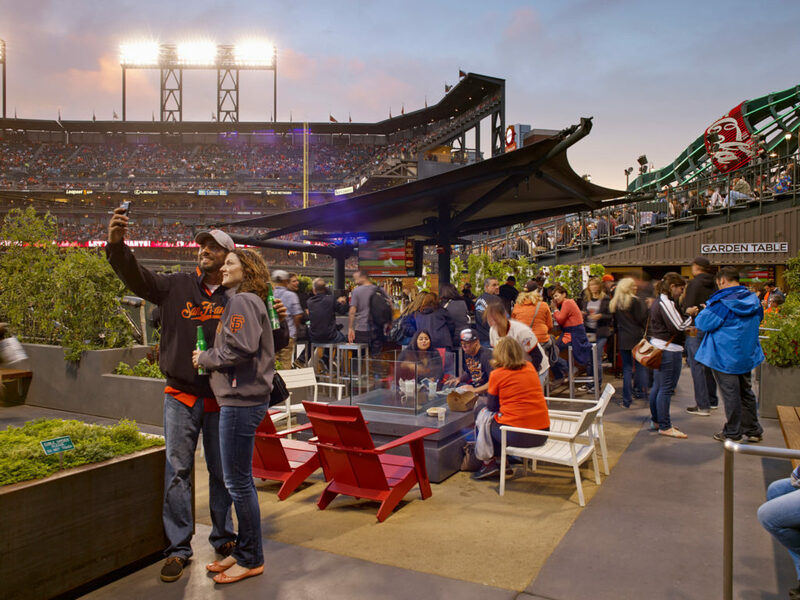 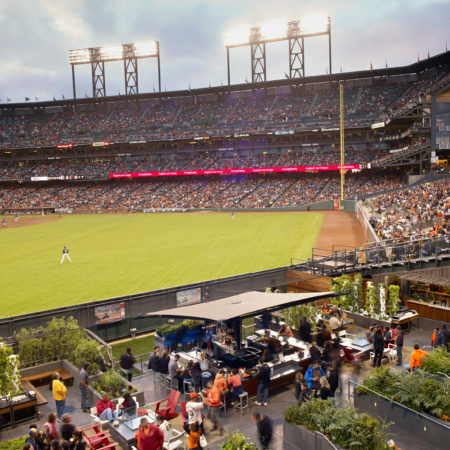 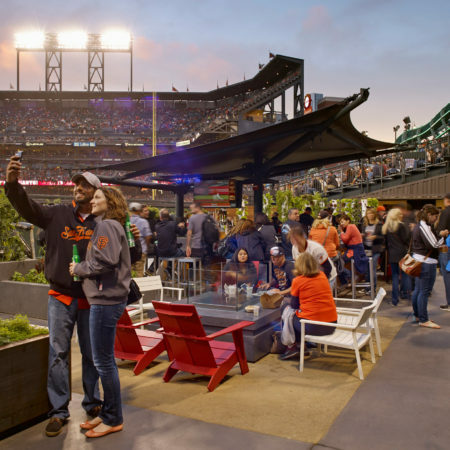 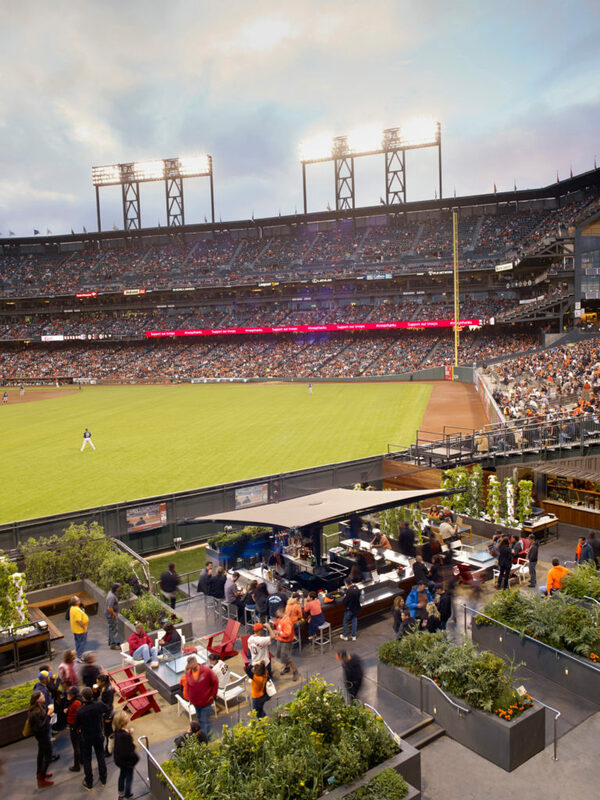 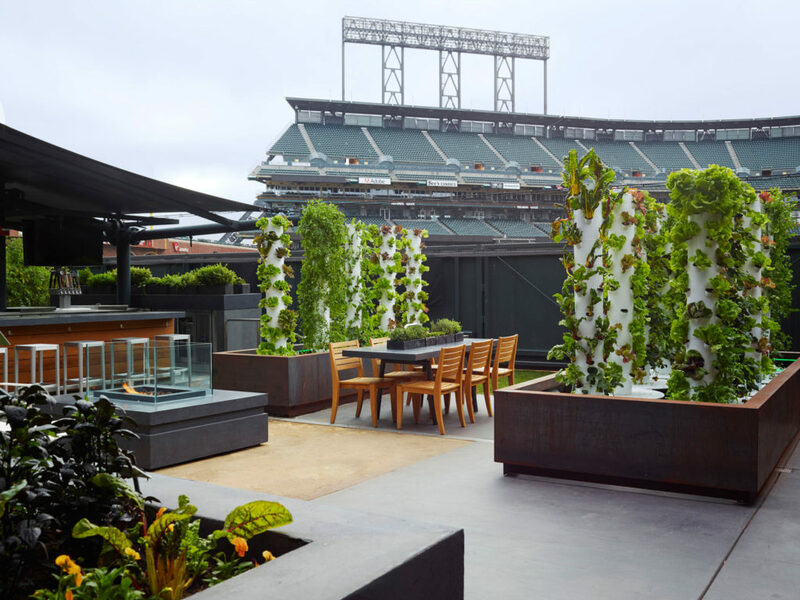 The Garden at AT&T Park in San Francisco does much more than supply fresh fruits, vegetables, greens and edible flowers for the ballpark (home to the SF Giants). 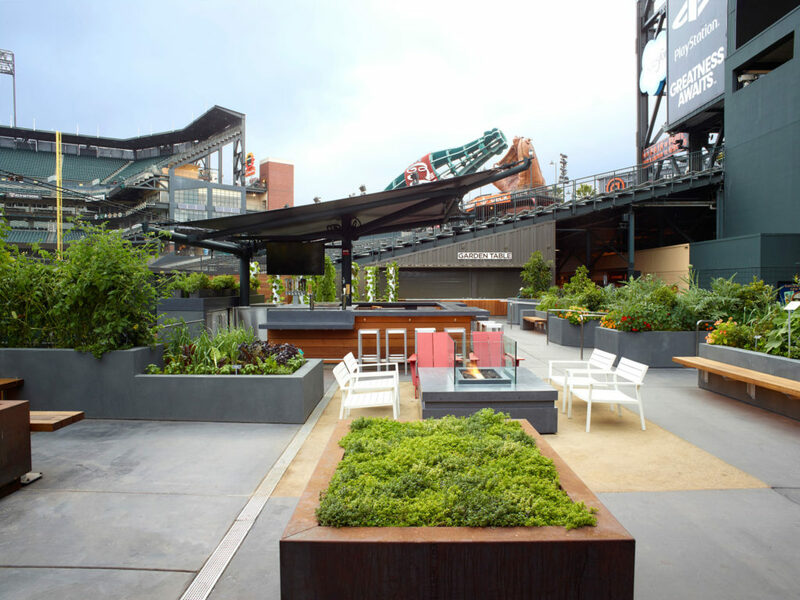 It also serves as an outdoor classroom for children, a unique space for baseball fans to enjoy, and a place for community outreach events. 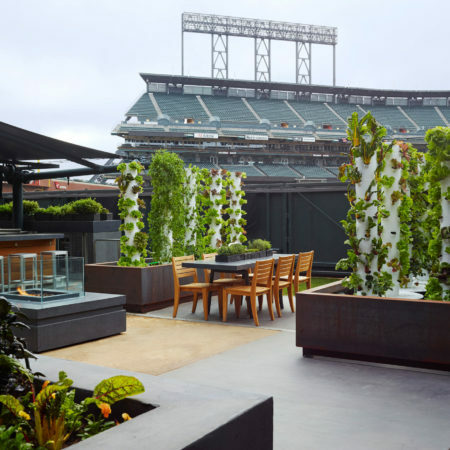 Plans to create the edible garden were announced in 2013 by President Obama during the SF Giants’ visit to the White House in honor of their 2012 World Series title. 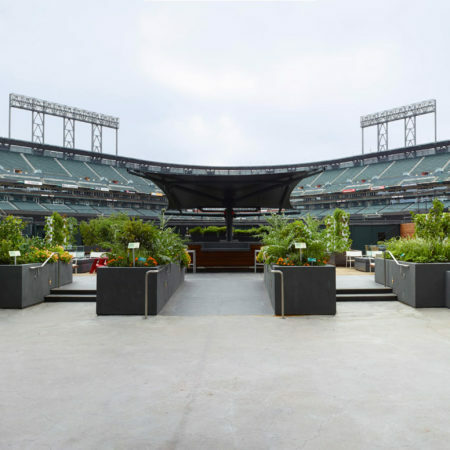 Located just behind the centerfield wall, the 4,320 square foot space is flanked by two bistros which use produce from the garden in their dishes. 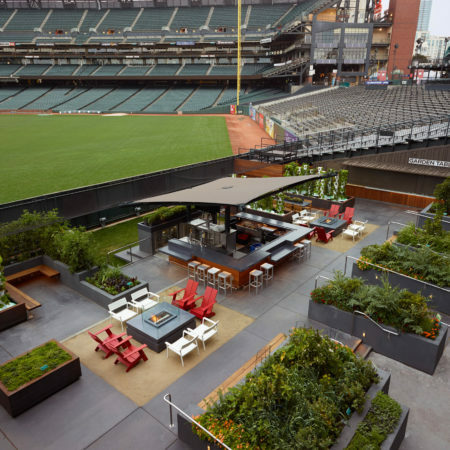 Baseball fans have the unique opportunity to enjoy a meal surrounded by the very edible beds the ingredients were harvested from. 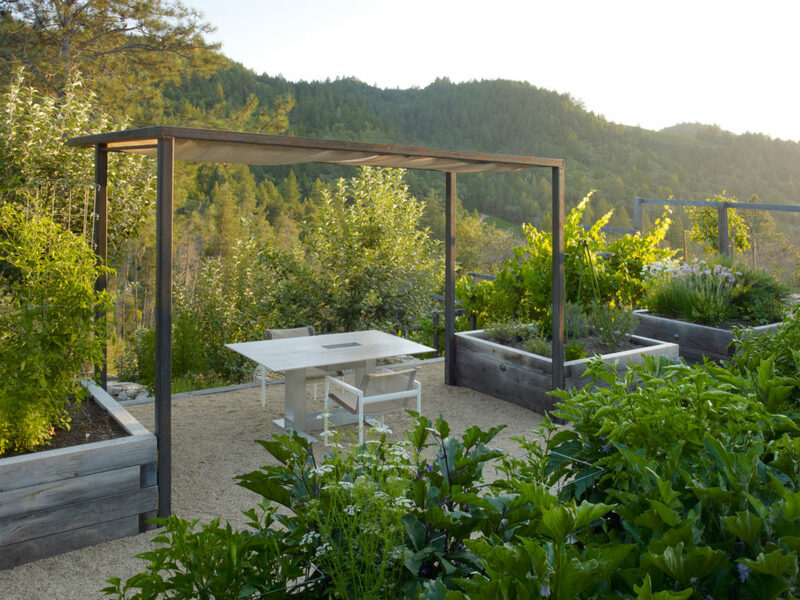 This is just one of the ways The Garden promotes its overall mission of encouraging a healthy lifestyle. 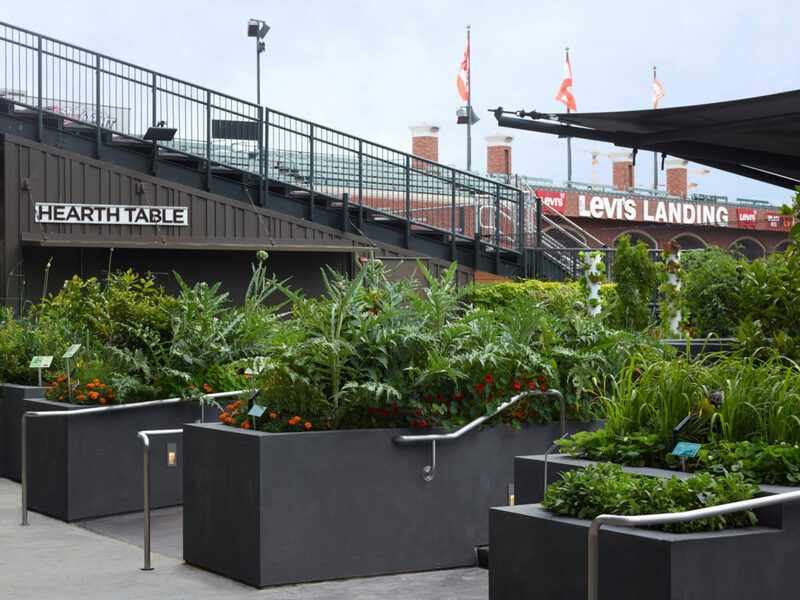 When the Giants aren’t up to bat, The Garden is an outdoor classroom where Bay Area children learn about topics like healthy eating and urban farming. 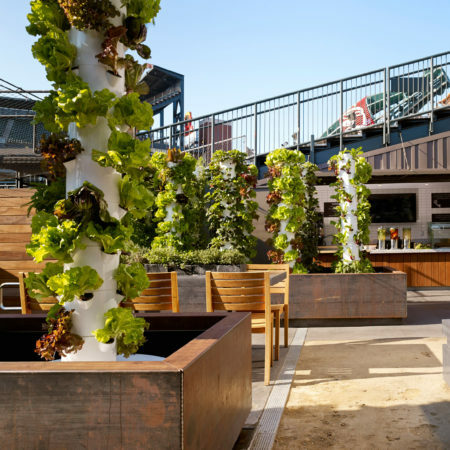 Educational tours for adults are also held among the edible beds and aeroponics towers. 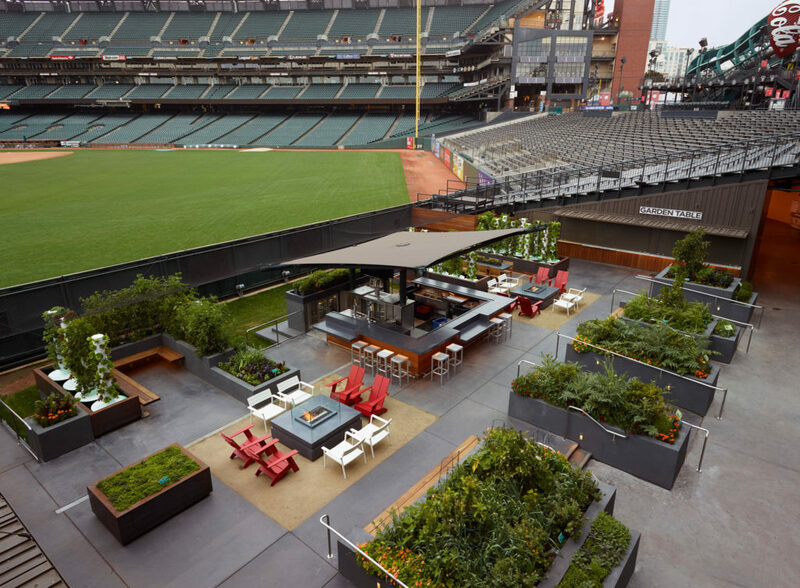 The Garden provides a special, engaging space for the community to enjoy the ballpark and learn about leading a healthy lifestyle. 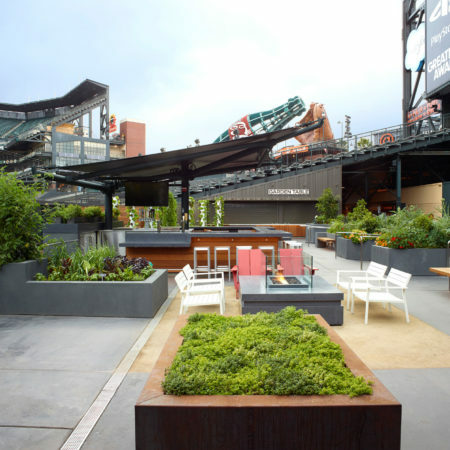 Its presence at AT&T Park makes a clear statement about the values and spirit of San Francisco. 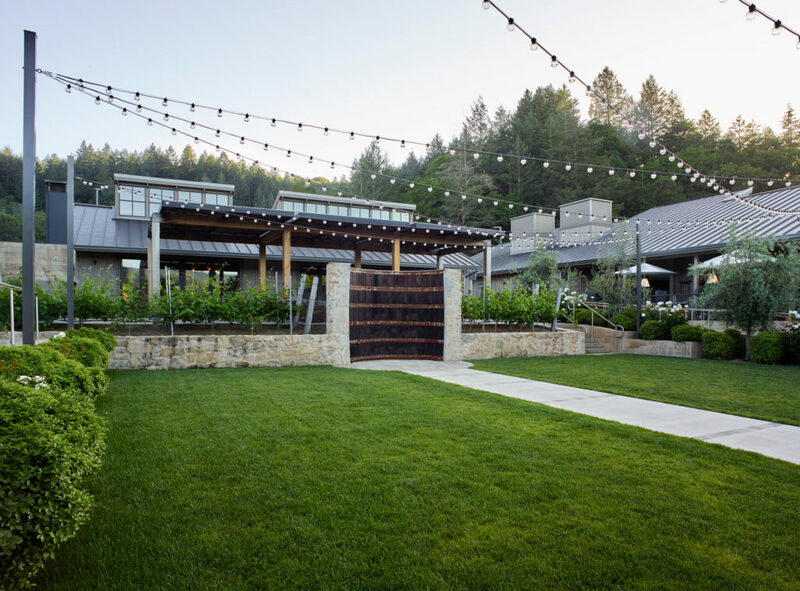 Brasswood Estate Winery is nestled in the heart of Napa Valley in St. Helena, California. 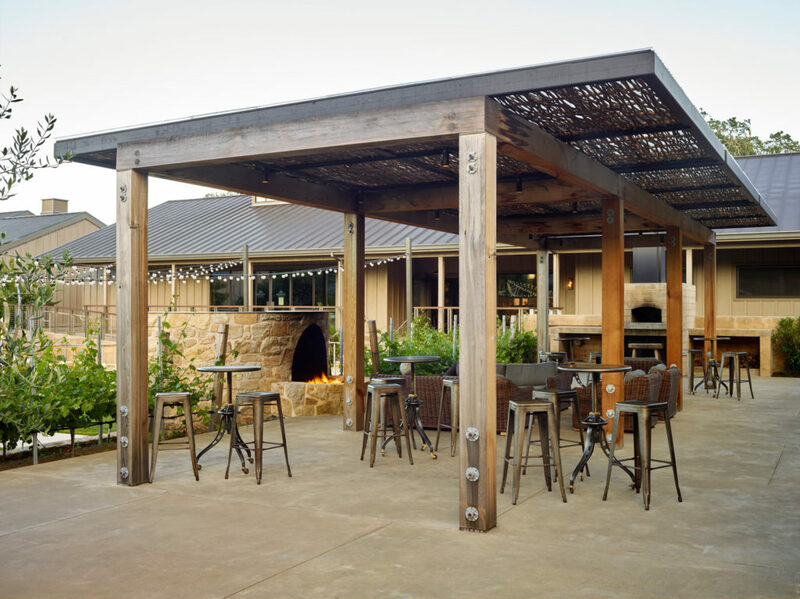 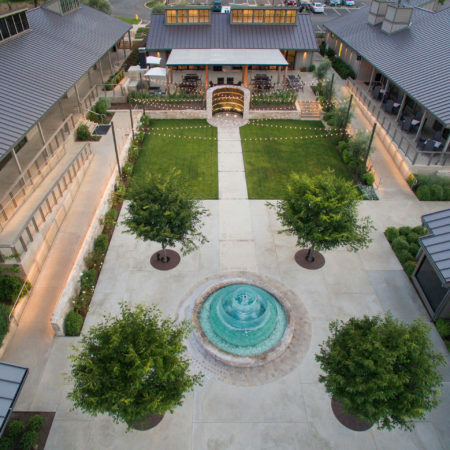 The project transformed a defunct small-scale outlet mall and underutilized land into a vibrant destination for immersive culinary and winemaking experiences, as well as a premiere venue for community events. 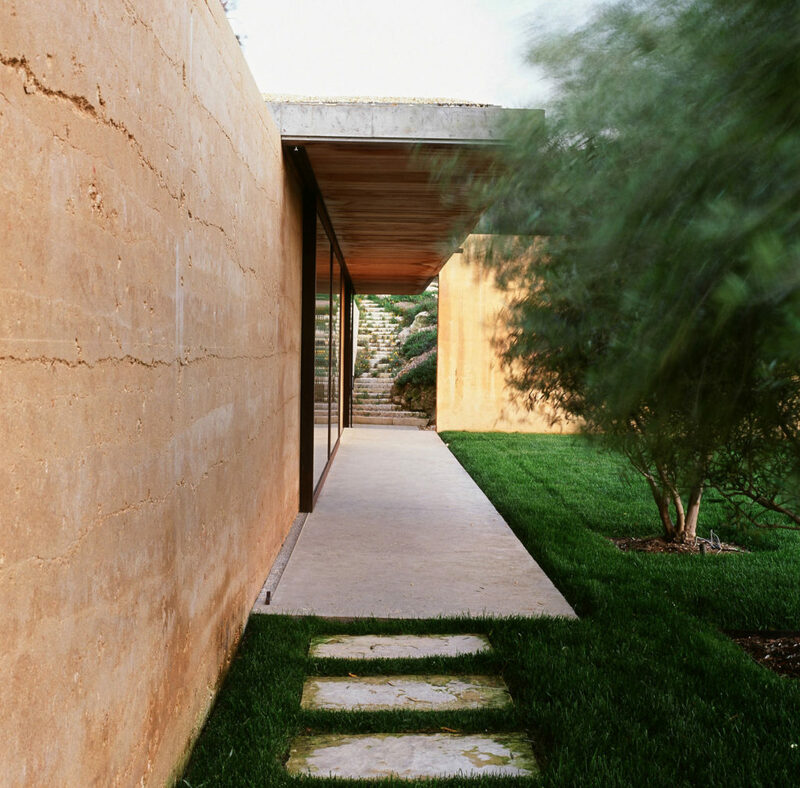 The project was divided into two phases. 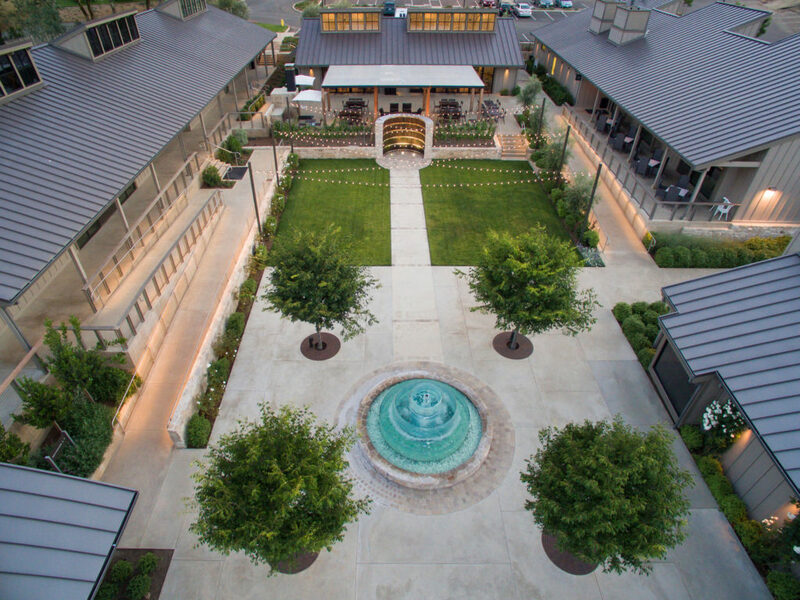 The first phase transformed 1.3 acres of the former outlet mall into a unique commercial zone celebrating local food and wine culture. 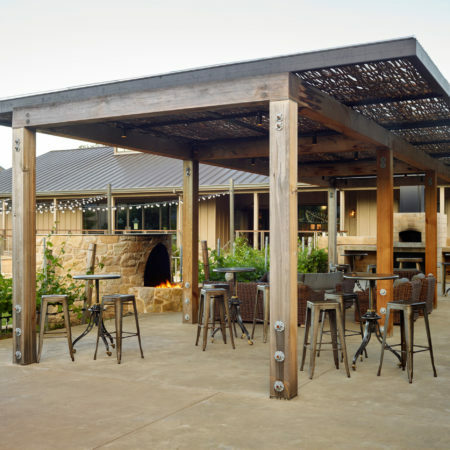 The second phase changed 1.5 acres of former agricultural land into the state-of-the-art Brasswood Winery. 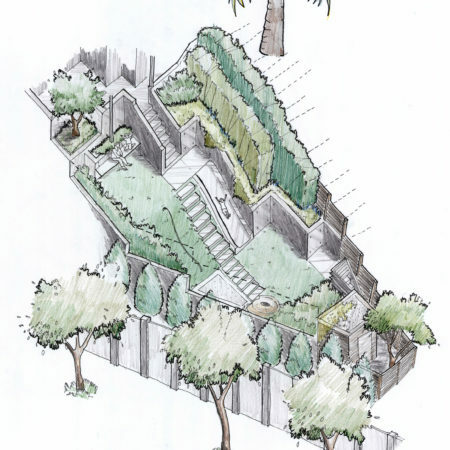 The design intent was to amplify the beauty of the surrounding context by editing out and reimagining the existing elements that detracted from the site. 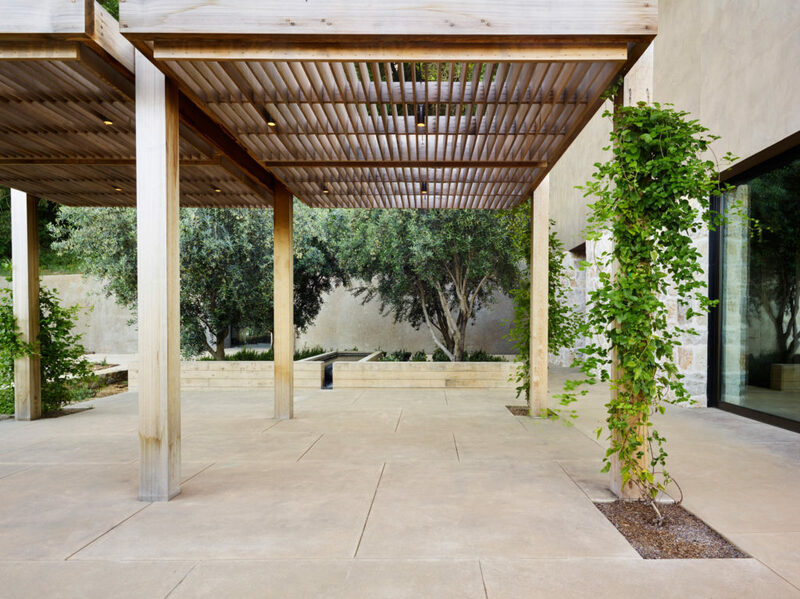 In Phase I we created a central pathway in the event space which extends to the tree-lined terrace and doubles as a processional aisle for weddings. 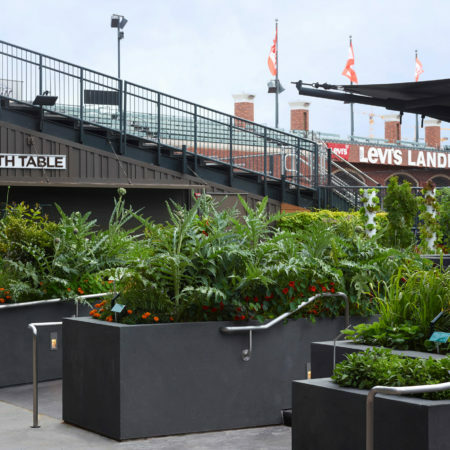 The northeast terminus of the central pathway leads to the custom designed fountain inspired by the form of a stacked wedding cake. 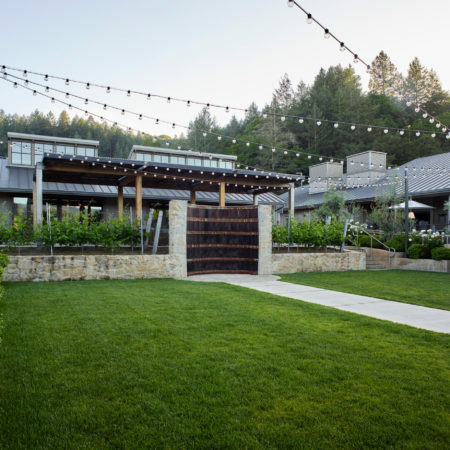 Phase II of the project focused on the newly constructed Winery. 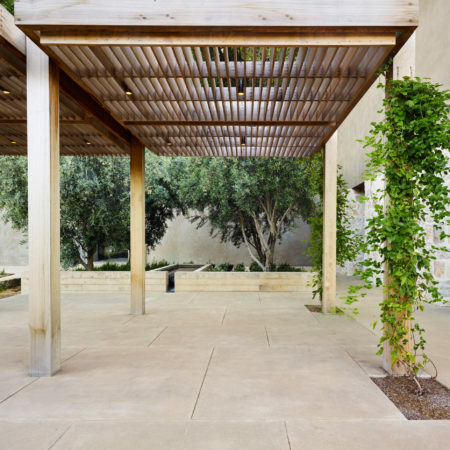 The landscape design reflects the use of the adjacent building and it centers on the axial corridor connecting the parking lot to the winery caves. 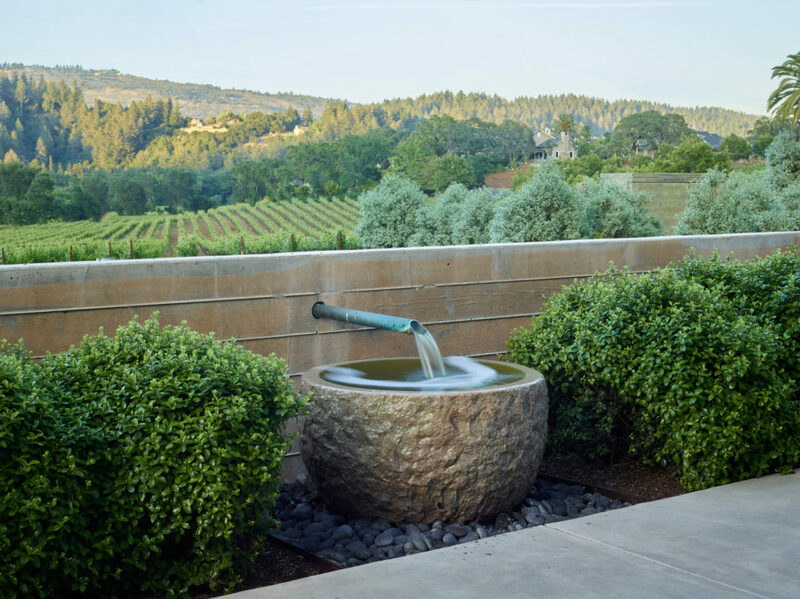 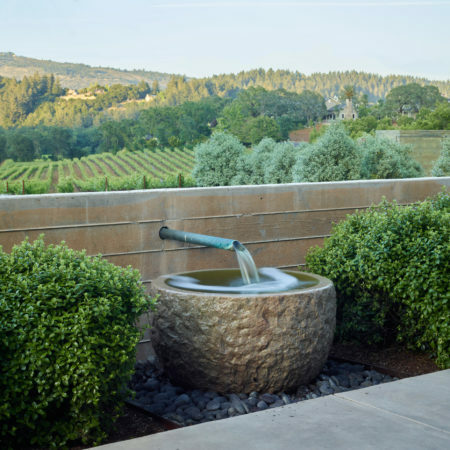 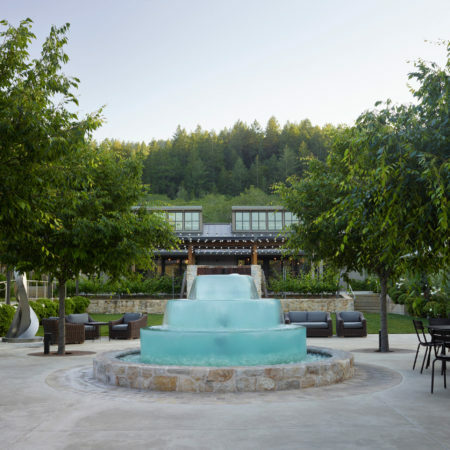 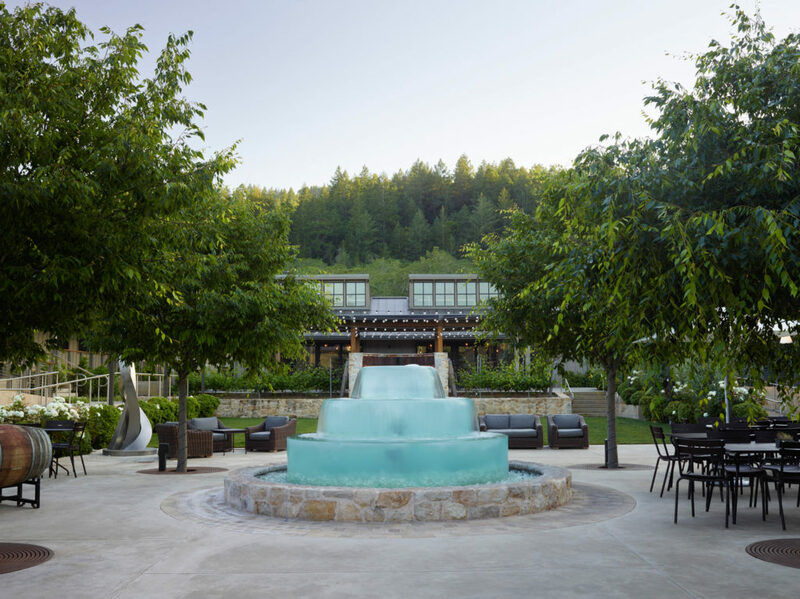 Brasswood Estate has become a celebrated destination in Napa Valley for the local community and beyond. 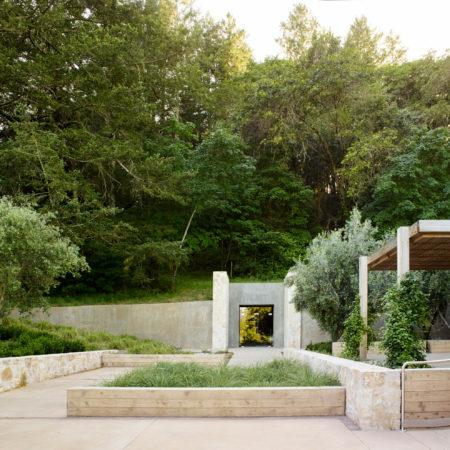 From the beginning our design approach to this residential Napa Valley hill top property was to have the lightest touch on the land possible – a concept of preservation and restoration that is the essence of sustainability. 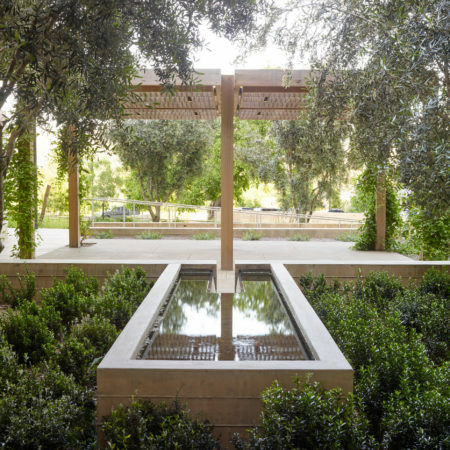 This garden’s design is a series of meaningful compositions that relate to the site and the architecture. 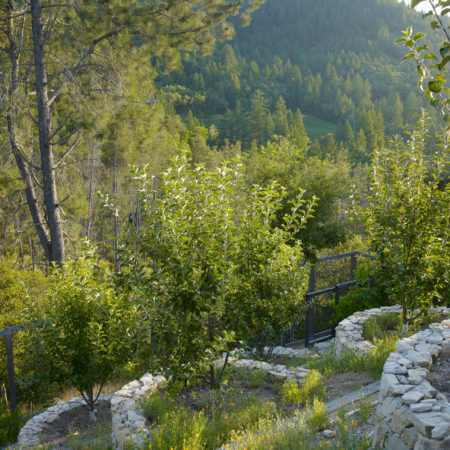 The 30 acre property is on an intermediary ridge above Napa Valley in Calistoga, California. 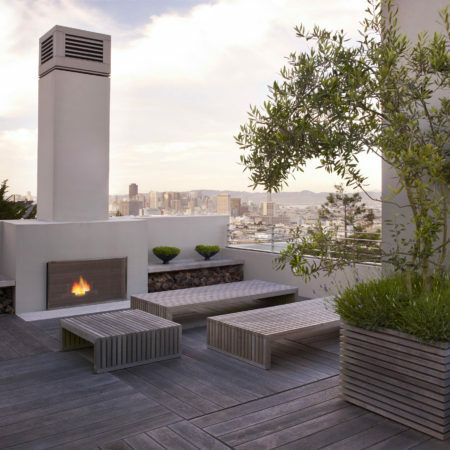 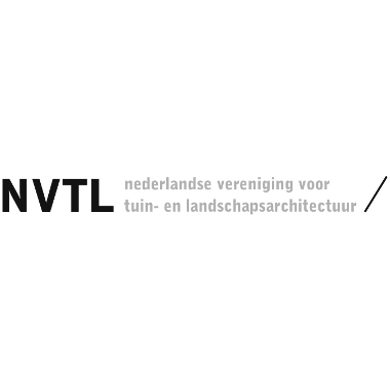 We collaborated with the architects from the start of the project. 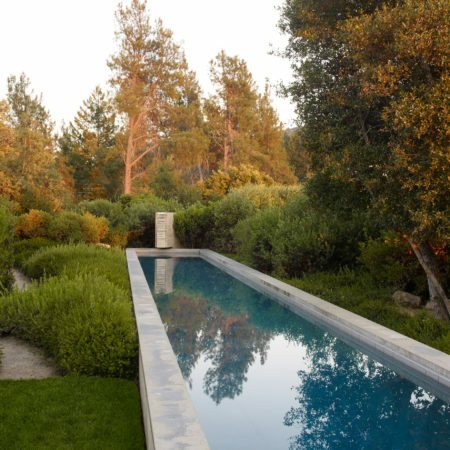 They knew the importance of working with a landscape architect during the initial process of designing and placing the house on the site. 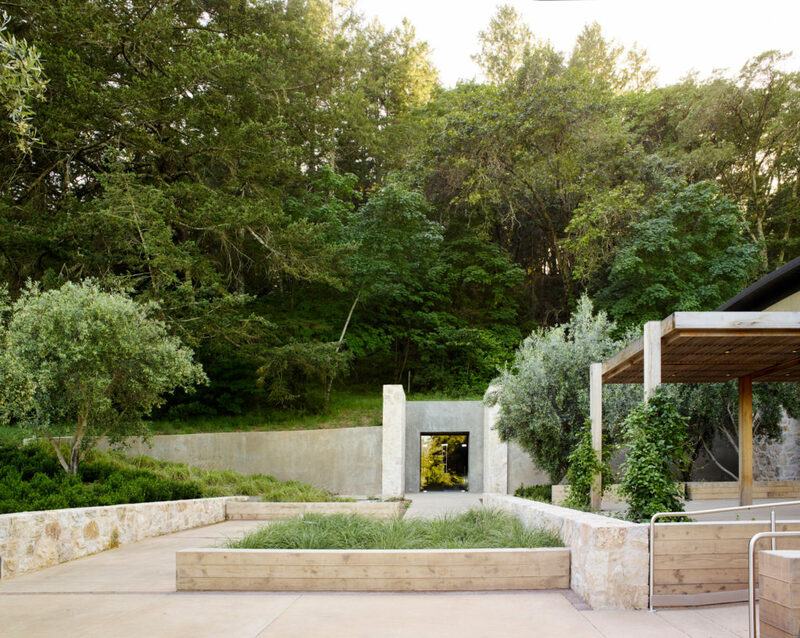 Our goals were to create the least amount of disturbance possible around the construction of each structure, to blend the existing grades around the architecture, and to replant the disturbed areas with indigenous and native plants. Special care was taken to collect native seeds from the site prior to construction. 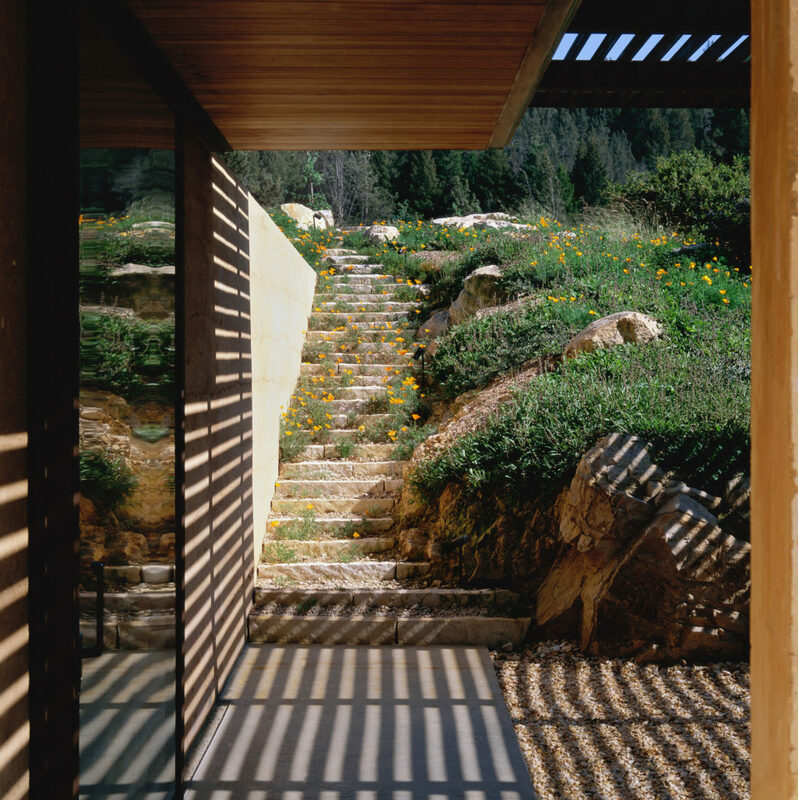 Continuing the ‘light touch’ approach, a network of narrow paths connects all buildings. 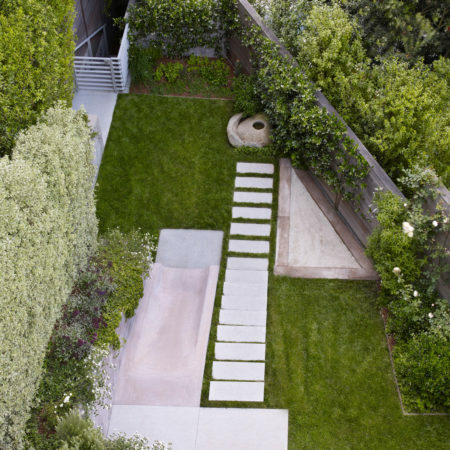 No stone was brought in for the project, nor was any hauled off the property. 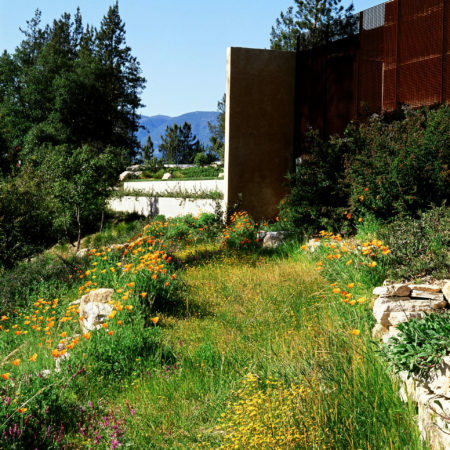 Another important consideration to the design was creating defensible spaces from wildfires. 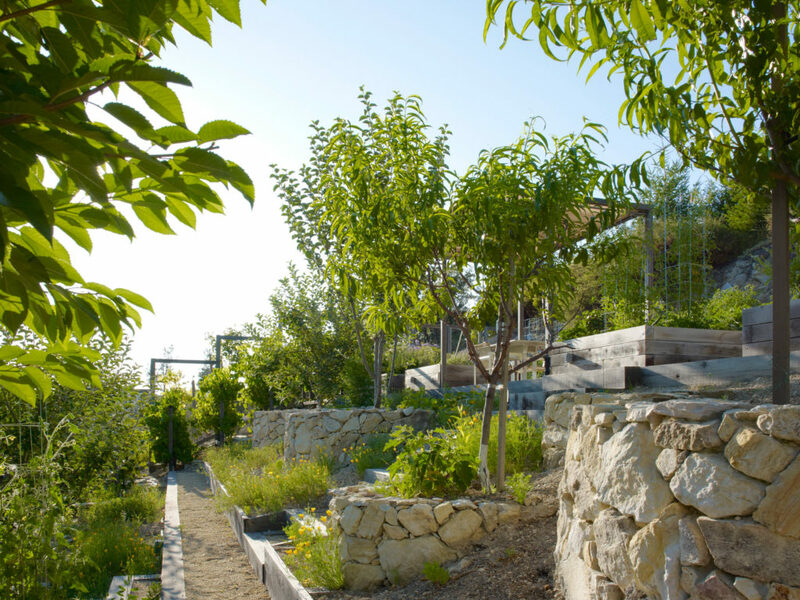 This project was a wonderful opportunity to create a garden that does not look like it was designed. 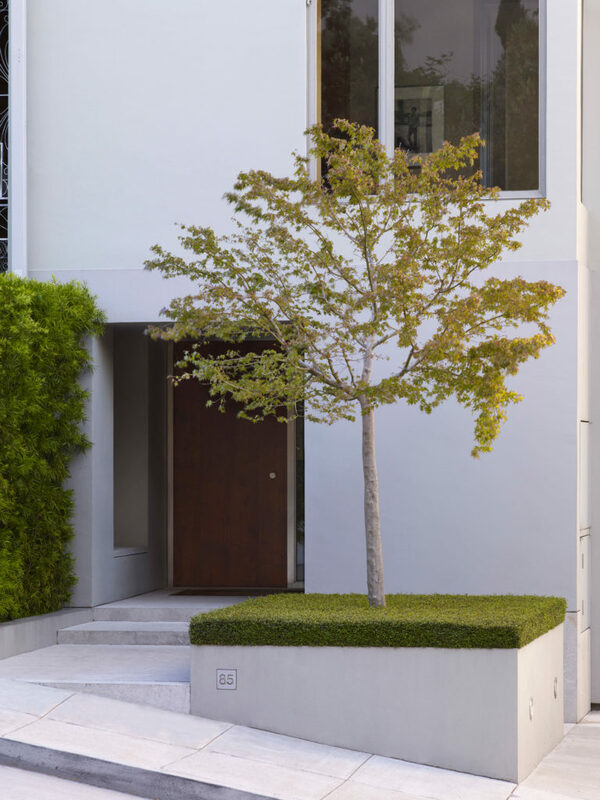 It was an exercise in minimalism, fusing a subtle touch with a distinct design perspective. 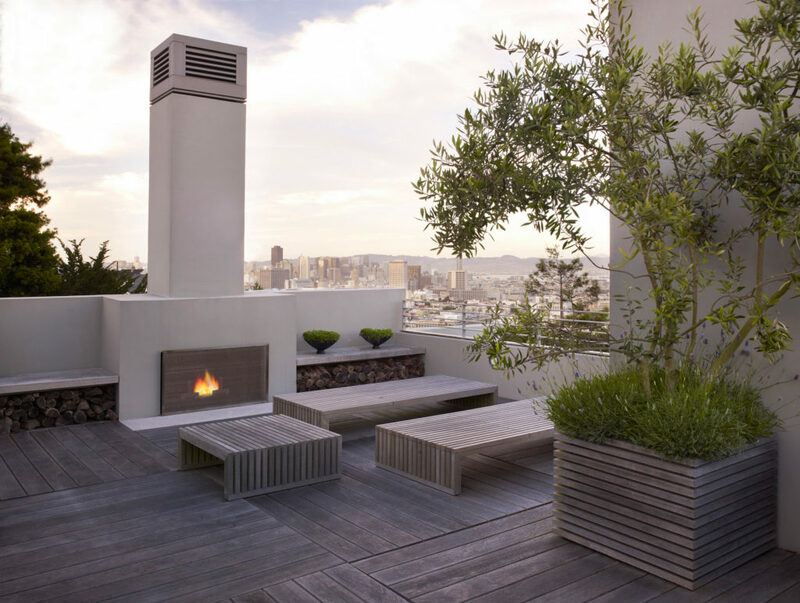 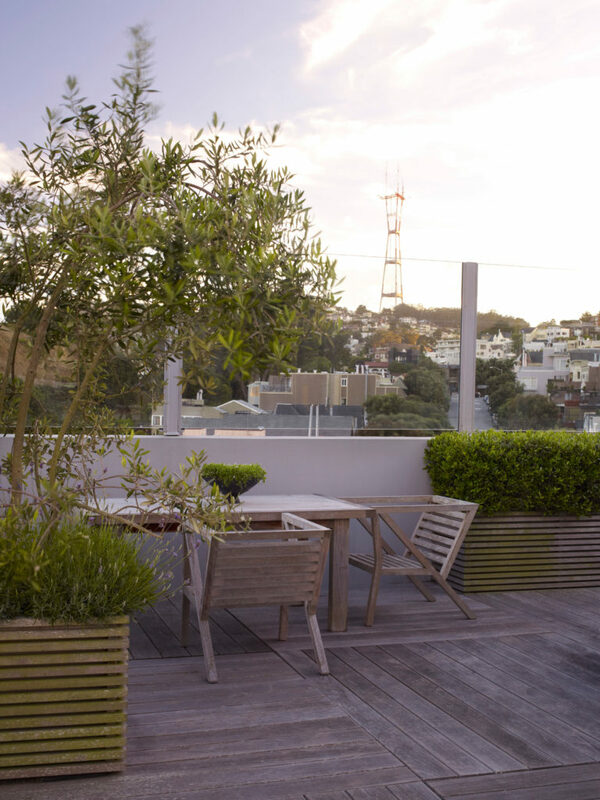 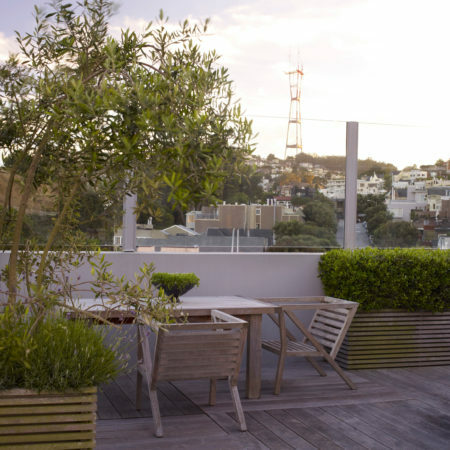 The steep slopes of San Francisco were transformed into an engaging play space in this garden for a family with young children. 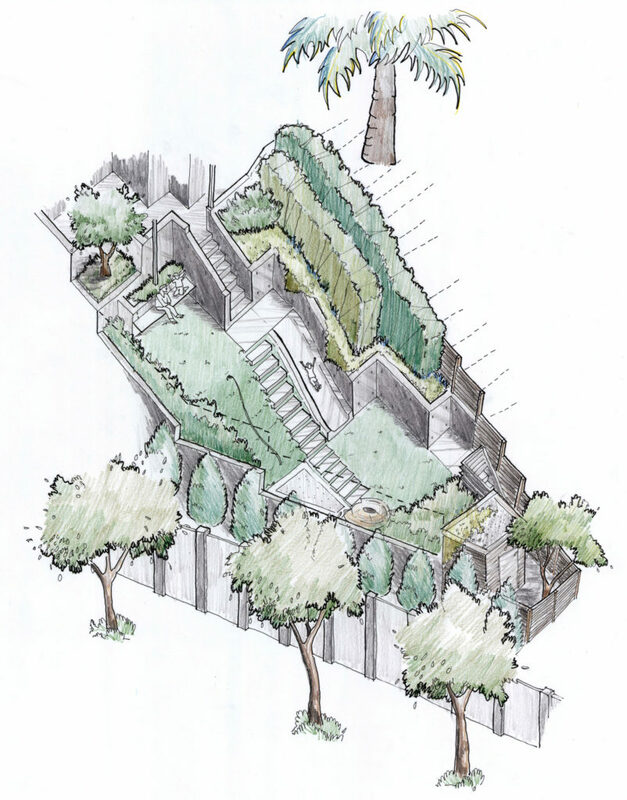 Viewed from above, terraces and folding planes create a graphic urban garden. 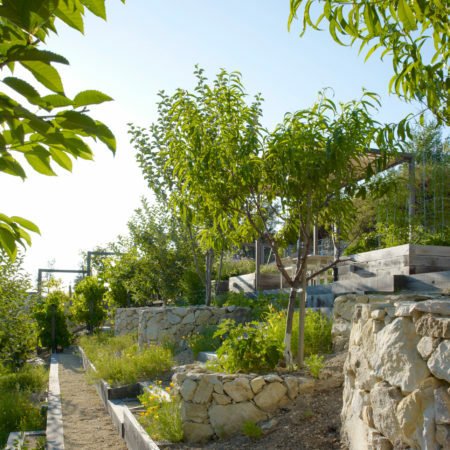 But at the garden level the focus is on adventurous play, drawing the children outdoors. 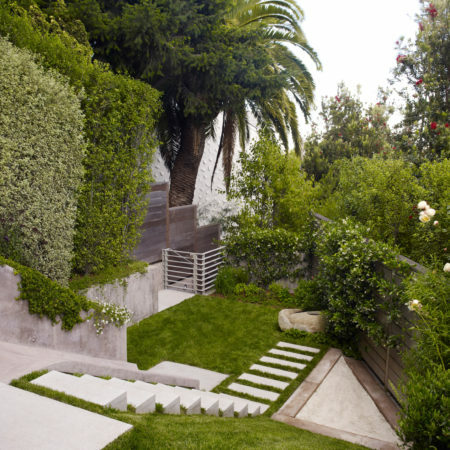 On steep, previously unused, land, they can play tag, roll, slide, climb a rope, dig, and invent games. 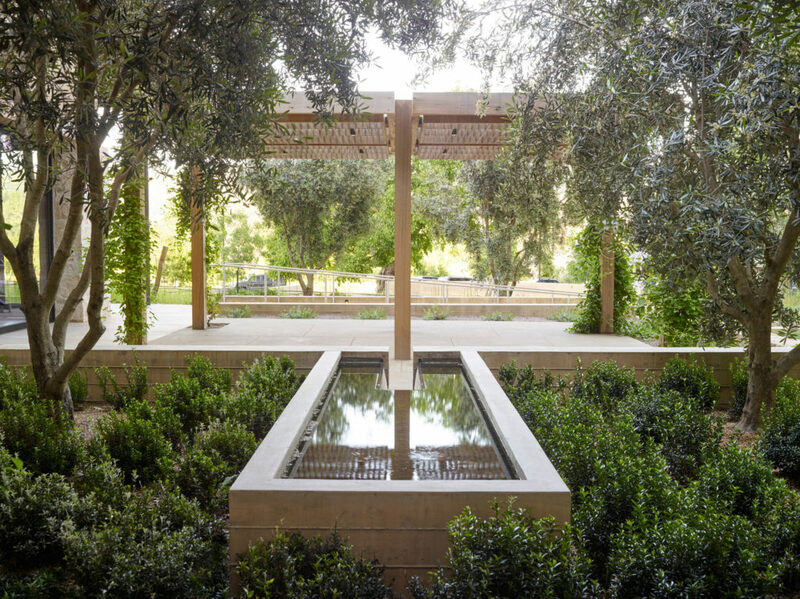 The garden connects to the minimalist modern architecture while promoting the children’s social and mental well-being by cultivating their relationship with the land. Our design strategy was inspired by the work of Tadao Ando – specifically his beautifully clean, smooth, concrete walls and efficient use of space. 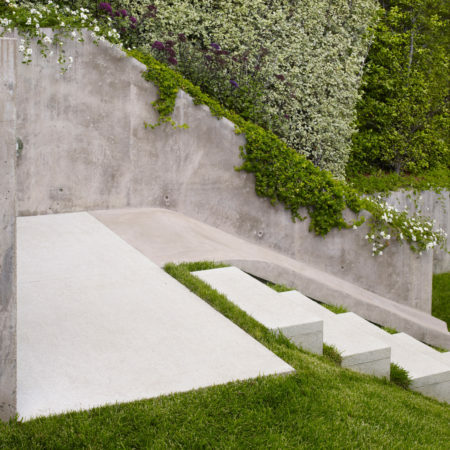 We designed snap-tie concrete walls, colored to match the smooth stucco of the house, to retain the terraces and planting beds. 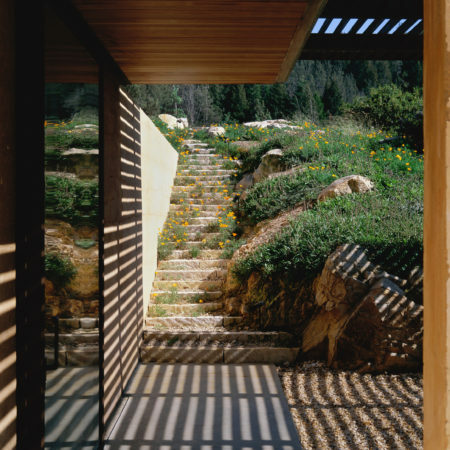 These walls visually extend the architecture into the garden. 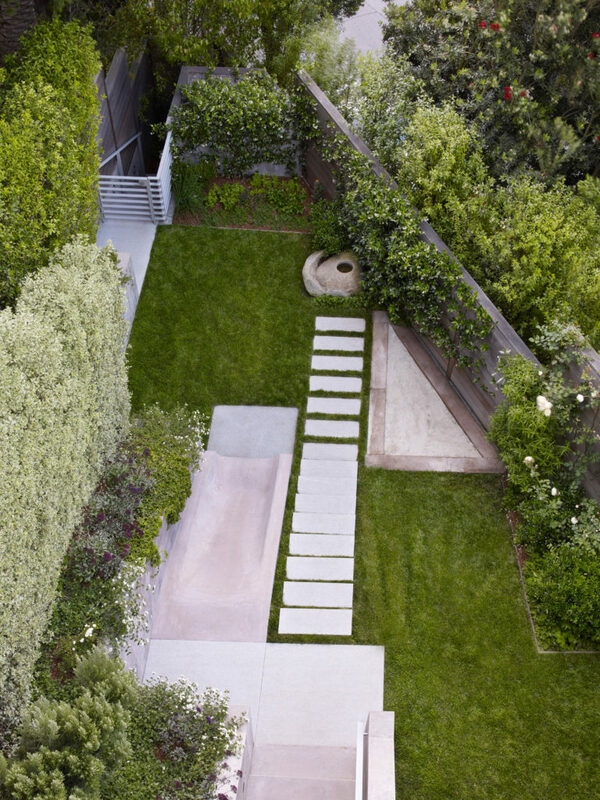 The space is organized into four zones: a flat upper terrace, a steep slope, a flat lower terrace, and below it, down a few steps, a service area with a shed.